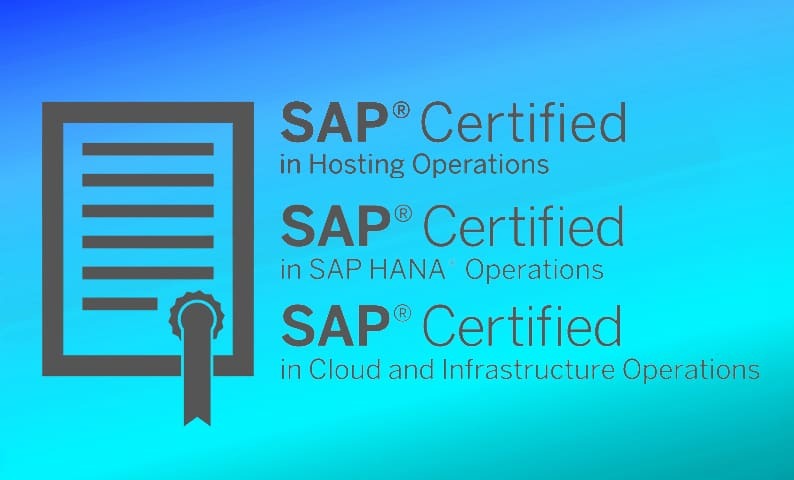 FIS-ASP has again been certified as an advanced SAP® Certified Provider in the “SAP Hosting Services” and “SAP HANA® Operations Services” categories. In addition, FIS-ASP obtained the “SAP® Certified Provider of Cloud and Infrastructure Operation” certificate. The “Cloud and Infrastructure Operations” certificate attests an infrastructure and cloud services portfolio tailored to the customer. FIS-ASP cloud service offers include on-demand infrastructure and on-demand services for SAP products. As an SAP hosting partner, FIS-ASP operates and maintains SAP applications and provides comprehensive hosting packages tailored to the SAP product portfolio and customer requirements. As an SAP HANA® Operations partner, FIS-ASP provides solutions that are based on the SAP HANA platform with high-quality Service Level Agreements. With this certificate, FIS-ASP again confirms the high requirements of SAP SE placed on a professional and SAP-compliant operation of SAP solutions.